Tea is very important part of our life. It is necessary to drink tea whether it is winter or summer. Many people start and end the day with tea. If you’re tea lover then accepted it as integral part of our life then let’s know about its properties. 1. Reduce Age: Tea contains antioxidants. Tea protects your body from aging and the effects of pollution. 2. Low Caffeine: Tea has less caffeine than coffee. Usually coffee contains two or three times more caffeine than tea. Eight ounce cup of coffee contains 135 milligrams of caffeine while tea contains 30-40 mg caffeine per cup of tea. If you get indigestion, headaches or sleep after drinking coffee then you should start drink tea. 3. Heart Disease: Tea may reduce the risk of heart attack and stroke. Arteries become smooth and cholesterol free by drinking tea. Drinking more than six cups of tea reduces the heart disease by 1/3. 4. Strong Bones: Tea also protects your bones. It is not only that it contains milk but also according to research which has been done on those people who drink tea more than 10 years. 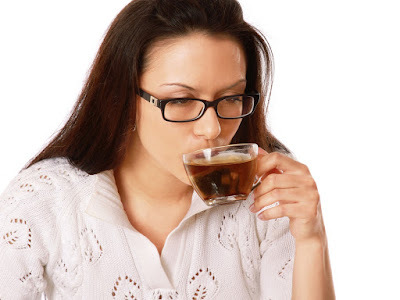 They found that people who drink tea they have strong bone, less weight, exercise, smoking and risk factors. 5. Strong Teeth: Teeth become strong by drinking tea. Tea contains fluoride and plague. You must have to drink tea to keep teeth healthy. 6. Disease: Tea fights against infection and increase our immune system. You can drink tea cold and fever. 7. Cancer: Tea protects against cancer because it has polyphenol and antioxidant. These two effects help to fight against cancer. 8. Shortage of Water: Tea keeps you hydrate. Tea is necessary for our body while coffee extracts urine more. As we don’t get much water. If you drink 5-6 cups of tea on a daily basis then you can fulfill the shortage of water. 9. Low Calorie: Tea is calorie free. Tea does not have calorie unless you mix some sort of sweetener or milk in it. If you want to drink any satisfying calorie free drink then you should start drinking tea. 10. Reduce Fat: Tea increases metabolism of your body. Many people complain that they do not reduce weight even though they do exercise. But if you drink green tea then your metabolism increases and 70-80 calories burn comfortably. Also, you must have to take walk for 30 minutes.